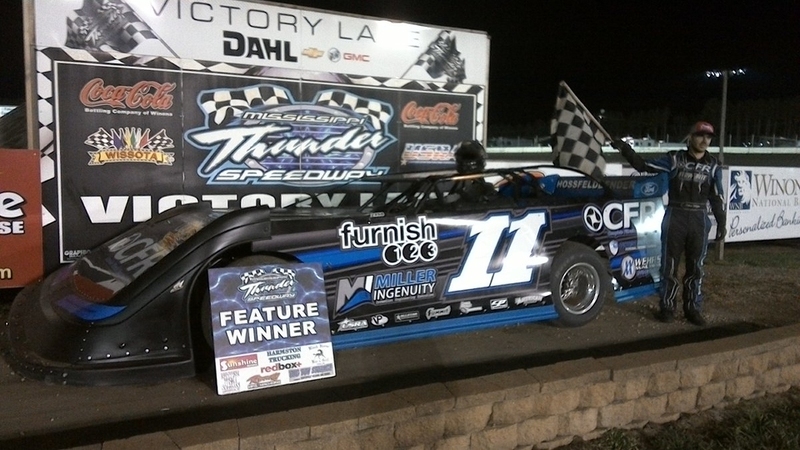 WILD LEIGHTON BROADCASTING / BUD NIGHT PRODUCES THRILLS AND SPILLS AT MISSISSIPPI THUNDER SPEEDWAY! FOUNTAIN CITY, WI (Friday May 4, 2018) – Leighton Broadcasting / Budweiser Night is one of the longest running racing promotions around; helping MISSISSIPPI THUNDER SPEEDWAY celebrate our 2018 "10th Anniversary Season" extends a run of dirt track promotions which dates back to the 1980's! Despite rains which swept through the area mid-week, the MTS track crew worked another miracle - whipping both speedways into shape for a fast exciting night of fun! For the second week in a row "Thrills & Spills" were the name of the game as fans were treated to another large weekly car count, heated battles for positions which weren't decided until each checkered flag was waived, and a wild and woolly tumble down the front straight as a double roll-over swept no fewer than 5 cars into a melee right in front of the crowd watching from the grandstands! Keith Foss has tasted success often behind the wheel of the various race cars that he's piloted through his career. But Friday night he looked just as happy as any first-time winner climbing from their car in Victory Lane. The smile was there, the sincere joy and happiness were there - no slowing down for Keith Foss. 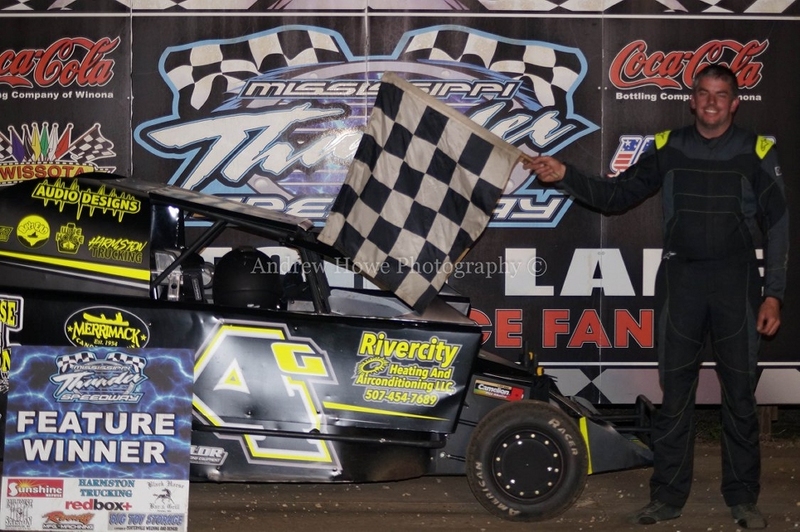 After finishing second to Dustin Sorensen in the evening's first Rivercity Manufacturing USRA Modified heat race, Matt Lear pounced early in the evening's feature; jumping from the outside of the front row, Lear lead the opening few laps while Foss figured out the right time and place to battle for the lead. That time and place was in the transition from the fourth to fifth lap. Foss worked around Lear, took the lead and never looked back - racing away to claim the feature win with a half second lead over the battle for second. For his part, Lear battled the rest of the feature with Sorensen, eventually holding on for second. Second heat race winner Kylie Kath and former Track Champion Jacob Bleess battled just outside the top-3 - finishing fourth and fifth respectively. 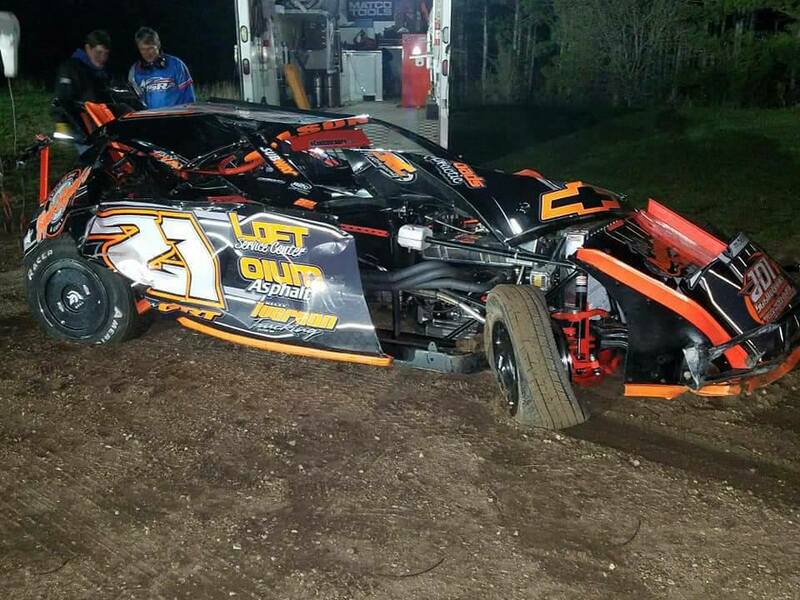 At the end of the second Centerville Welding & Repair USRA Late Model heat race, Lance Hofer found himself in unfamiliar territory, as of late - watching someone else win a race in which he was a competitor! Winona's Troy Langowski rocketed to the heat race win with his #88, just ahead of Hofer in second. Feature time, though, it was Hofer in Victory Lane once again. Although, one might suggest that a certain new-comer to the division presented by Big Toy Storage may have put the rest of the competition on notice. 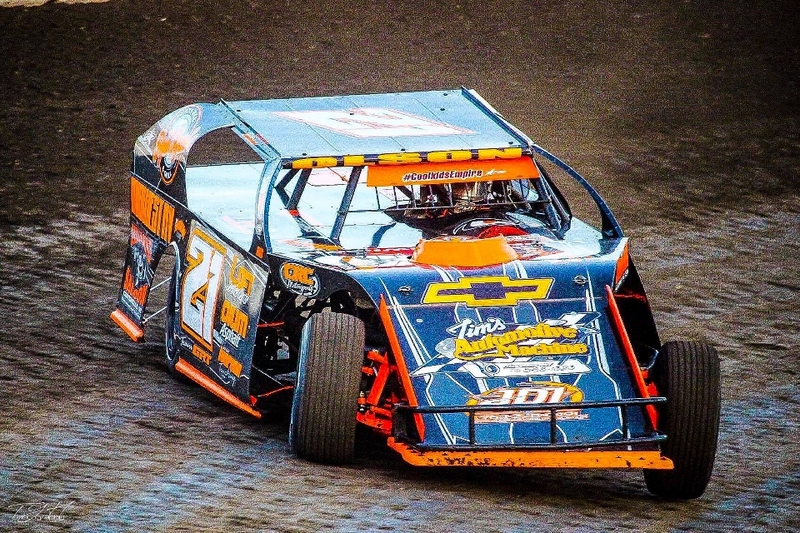 "The Iceman", Alex Williamson proved that his speed and abilities are not limited to only his B-Mod success. Behind the wheel of John Duffy's #47 (as the new driver for the 2018 season) Williamson proved that he's a quick learner of a new division and car - racing to the front of the field and actually relieving Hofer of the top spot for a span of a few laps dangerously close the finish of Friday's 20-Lap Feature! 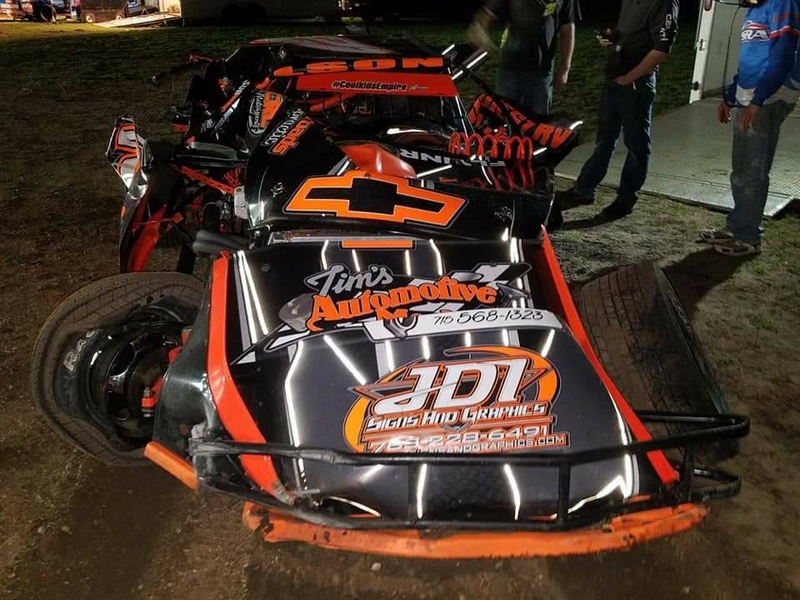 Hofer was, eventually, able to reclaim his hold on the top spot - but not before Williamson put the competition on notice that he's ready to more than just test the waters; he's ready to win some Late Model races. Perhaps not this week . . . but, it will come. Sooner rather than later, more probably than not! 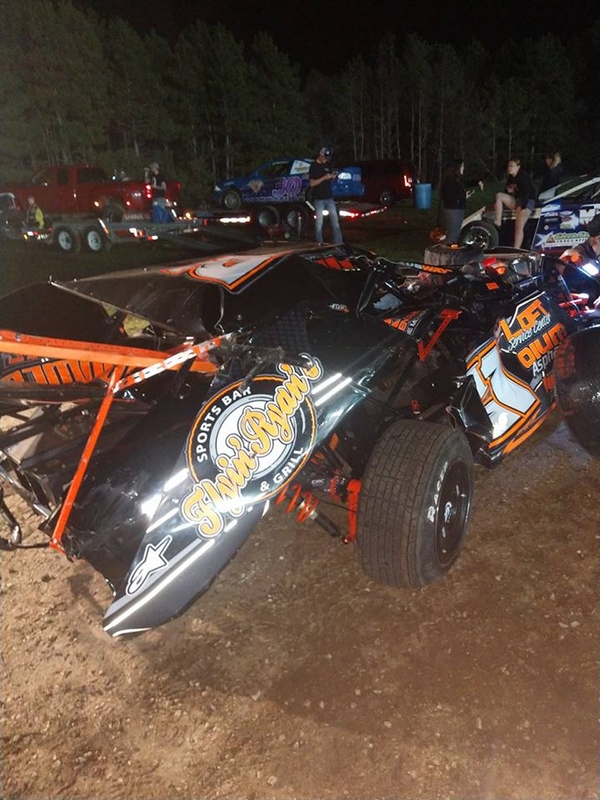 Hofer and Williamson finished one-two followed by a hard charging Shaun Mann, who raced to third after starting inside the fifth row and working traffic toward the front. 2016 Track Champion Justin Sass and Langowski completed the top five as the checkered flag waived of the field. 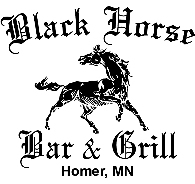 Dan Hovden can, perhaps, understand when people talk about Friday's Black Horse Bar & Grill USRA B-Mod feature few of them will be talking about his feature win! 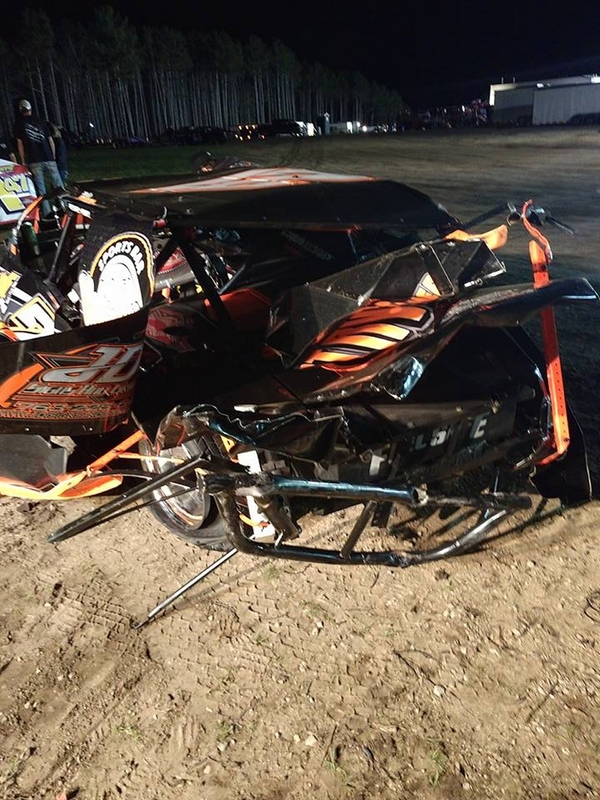 What 99.9 percent of fans will be talking about is the wild ride that several B-Mod racers took down the front straight away. At the end of the very first lap of the B-Mod feature, several cars came together coming out of turn four - what followed was a tangled mess of rolling, flipping cars that looked more like "The Big One" at Talladega that a bump-and-grind at the Friday Night Short Track. The #21 of Flyin' Ryan Olson climbed the front straight wall and began a violent series of flips, rolls & pirouettes - being hit and clobbered by competitors cars before coming to a rest on it's roof near the entry to turn one. Joining the mess was Scott Kunda's #48K barrel-rolling into the pile, but thankfully coming to a rest on all four tires - wedged in between the #2 of Nate Butterfield, the #4W of Tucker Williams & the #12K of Casey Knutson - with other cars zipping through and past the carnage with only cosmetic or, at least, not major damage. 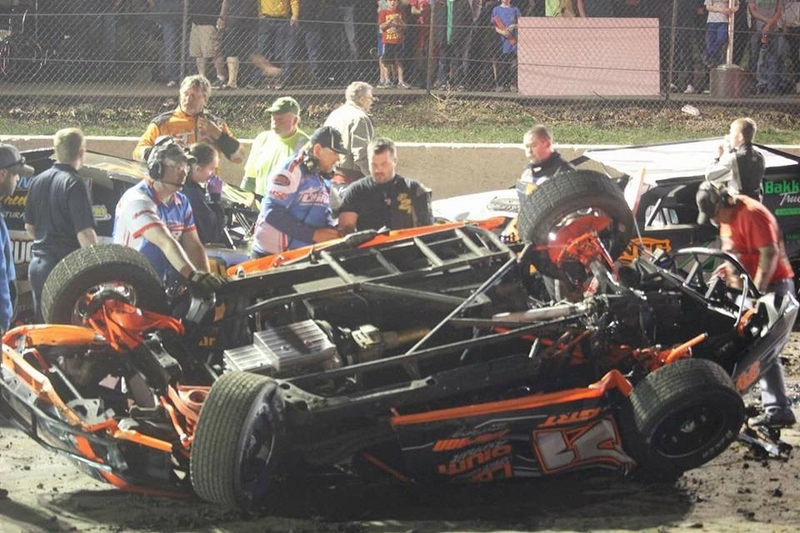 After the speedway safety crew assisted at the scene, the crowd was relieved when it was reported that aside from bumps and bruises, all drivers were OK, out of their cars, and walking under their own power. From the moment of the restart, Decorah, IA's Hovden began his charge through the field from his starting spot inside the fifth row. 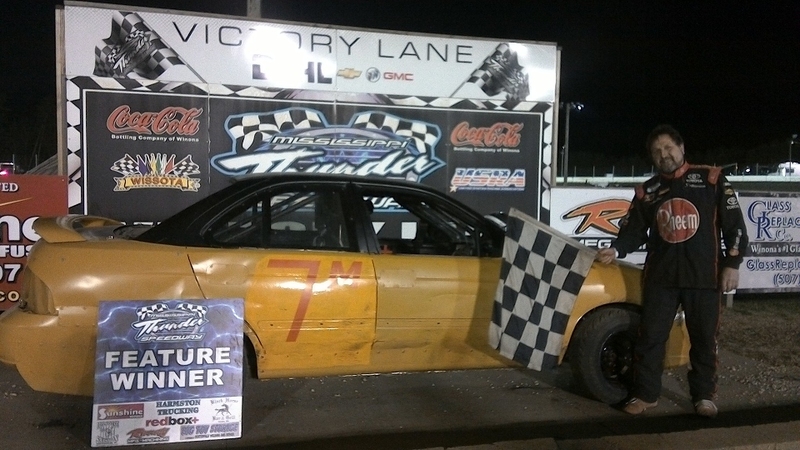 Hovden was able to work past race leader Ben Moudry with just a circuit and a half remaining, to claim the feature win. 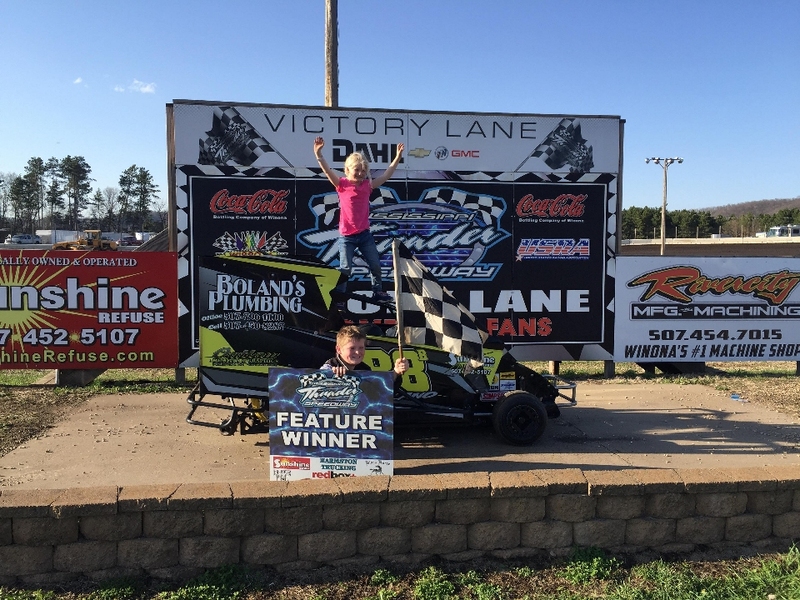 Moudry back-slid to a third place finish behind Opening Night feature winner Parker Hale. 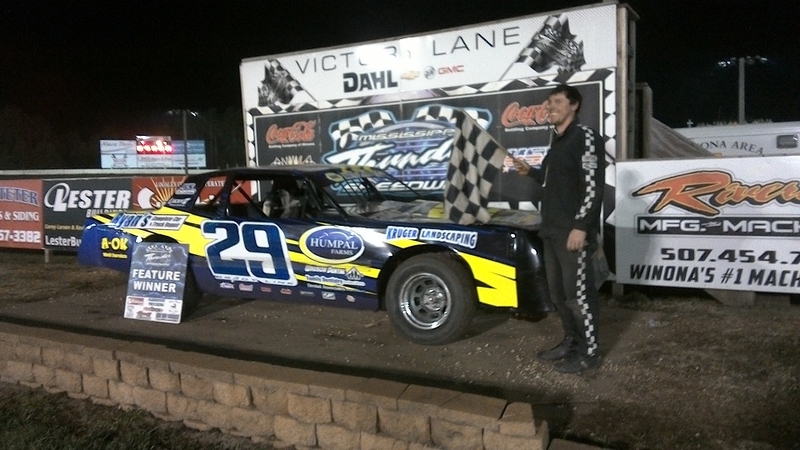 Brady Link returned for his second trip to Victory Lane in as many weeks - winning the Jailhouse Saloon USRA Hobby Stock feature ahead of Steve Dwyer and Kevin Hager in second and third. Triton Krause and "Crazy" Phil Wernert finished fourth and fifth. 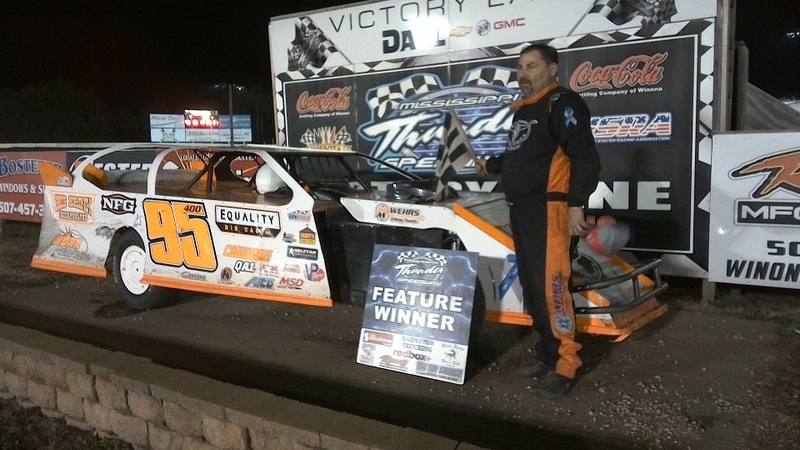 After coming up inches short following a side-by-side battle with Kyle Jumbeck for the opening night feature win that seemed to last almost the entire race; Chris Gilbertson turned the tables and collected the feature win on night #2! Coming from his starting position on the inside of the fifth row, Gilbertson's black #4G looked like a dark storm cloud engulfing the competition. By lap four he was the leader and from there on out, it was his evening to let the thunder roll. Gilbertson grabbed the win with former B-Mod Track Champion Ben Anderson crossing the line second ahead of Jake Cisewski, Chad Dugan, & Brad Kramer. 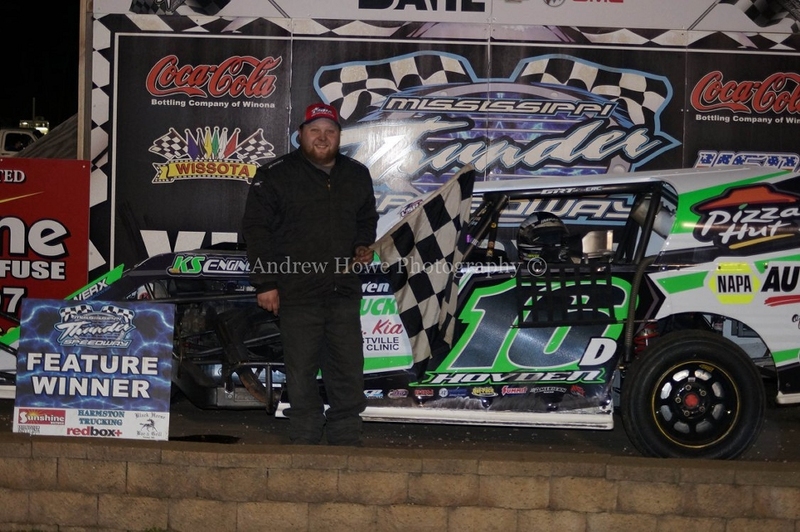 Don Martens raced to the front of the Harmston Trucking MTS Hornet's field to win his first feature of 2018. Seth Scholl & defending Track Champion Jason Schloegel completed the top-3. 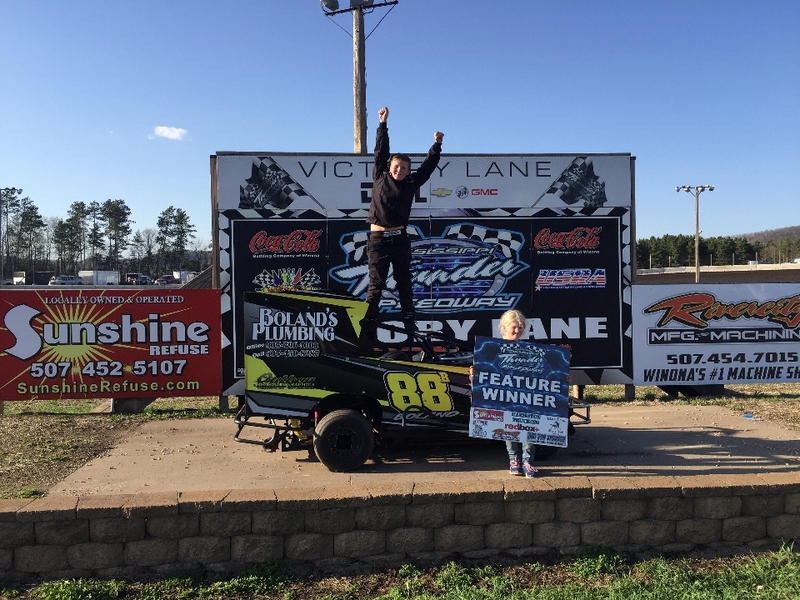 Brady Boland raced his #88B to the front of the field as the Sunshine Refuse SR Slingshots started their 2018 season on The LIGHTNING SPEEDWAY. 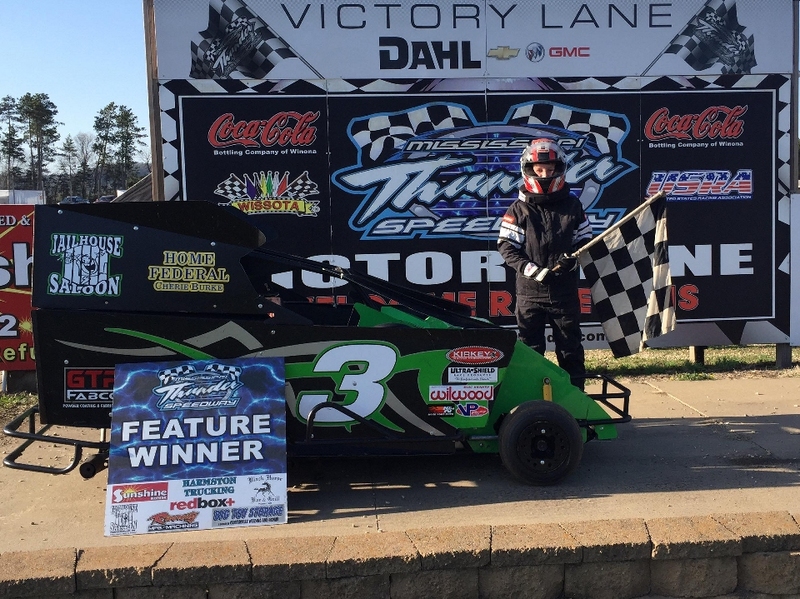 Ian Engrav took his #3 to the front to win the JR Slingshot feature. MISSISSIPPI THUNDER SPEEDWAY will once again roar to life Friday May 11th with another night of Exciting Regular Season Action! Green flag competition begins at 6 pm with the Sunshine Refuse Slingshots on The LIGHTNING SPEEDWAY. RESULTS - FRIDAY MAY 4th - "Leighton Broadcasting / Budweiser Night"